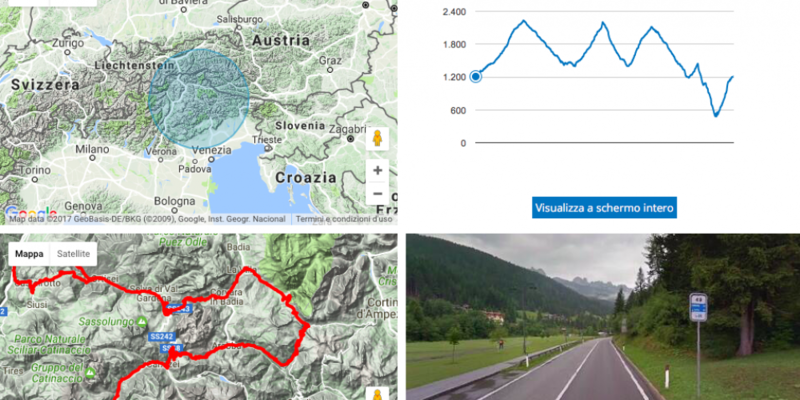 ORTISEI: After the very high Lombardy mountains, the Giro ride a resistance stage like the one in Canazei where the group have been riding for almost six hours, and now the scenarios change once again. Starting from Moena, in Val di Fassa, after 137 kilometers the Giro arrive at Ortisei – St Ulrich after five great mountain pass (Pordoi Pass, Pasparal Pass, Passo Gardena, Passo Pinei and Pontives’ final climb) and an intense effort. The pink jersey is still dressed by Tom Dumoulin, the flying butterfly, who has been attacked on the uphill of Aprica, the first uphill at the start of the stage. An attack brought by his opponents to see if it was possible to gain more seconds after the intestinal problems he had had yesterday. Ortisei is a land of skiers, or in any case champions of winter sports. We can remember the skater Carolina Kostner and the skier Isolde Kostner. It is a stage that crosses wonderful landscapes with green slopes. A fabulous scenario that could turn into a nightmare. The usual 3 riders will play for the final success: Dumoulin, Quintana and Nibali but maybe there will be also a chance for other riders like: Landa, Pozzovivo, Formolo and all the courageous ones who will try. A stage full of pitfulls like this unvealed by our initiative #ingiro with a StreetView revealing all the details of each stage.